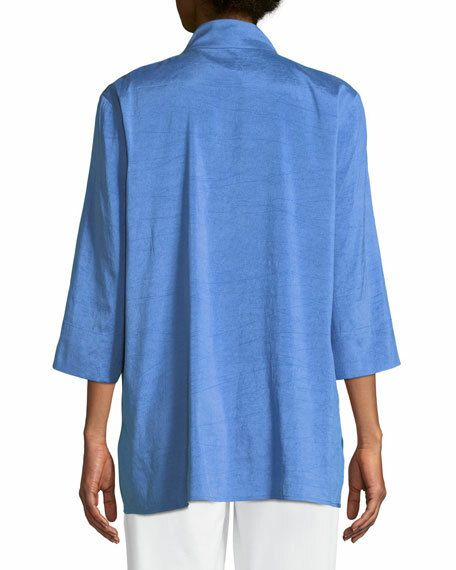 Eileen Fisher blouse in doupioni silk. 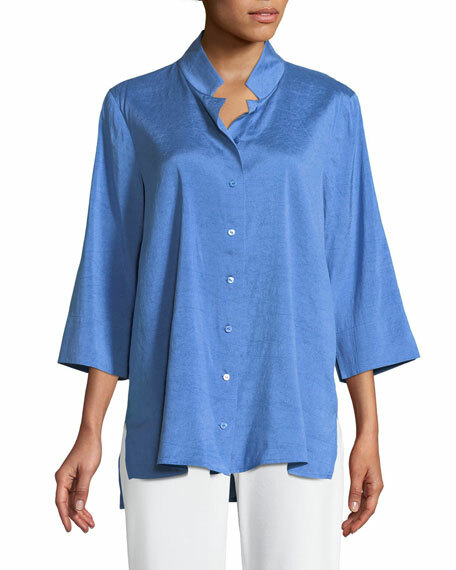 High stand collar; button front. For in-store inquiries, use sku #2538178.